As mid summer turns into late summer, it’s all too easy to let your garden go to seed, literally. As a child I remember leaving my parents garden in its prime for our annual sojourn in Cornwall. Returning three weeks later the same garden, so perfectly fecund before we departed, was now overstuffed, yellowing and endearingly fuzzy around the edges, like a well-loved teddy bear. Yet with a little careful planning and tender loving care you can keep your plot looking fresh and vital until the first frosts. Here are my top tips for prolonging the splendour of high summer, giving you more time to sit back and enjoy the fruits of your labours. Unless you have planned your garden to be completely drought tolerant you are going to need to water to keep your garden looking fresh and attractive through hot, dry spells. Even if you’ve been water-wise with your plant choices you’ll need to tend seedlings, cuttings and container plants which might perish without a good drenching now and then. The secret is not to take a “little and often” approach. This encourages shallow rooting, making plants even more susceptible to drying out. Instead, soak your garden once or twice a week and leave it alone between times. Large plants and pots of over 14″ benefit from at least 2 gallons of water applied with a watering can or hose. I greatly prefer the ritual of using a watering can, although this would be impractical and time-consuming in a larger garden. When watering with a hose, resist the temptation to move on too quickly and make sure you deliver at least 1-2cms of water to the soil surface during each session. Pots, hanging baskets and new plants are the exception to the rule. These may need watering once, if not twice a day, and thoroughly. To reduce the burden, mulch the surface of pots with grit and group containers closely together to create shade at the base. A soil-based compost or one that has water-retaining granules added to it will stay damp for longer. The old advice that one should not water in bright sunlight has recently been dismissed as an unnecessary precaution. Leaves may not be scorched but some water will evaporate if you irrigate during the day. Watering in the evening, as well as being therapeutic, always strikes me as offering a plant the best opportunity to freshen up overnight. Ultimately, well watered plants will thrive and look fresher for longer. A dry plant will have its growth checked, perhaps leading to an untimely death. Plants vary hugely in their requirement for water, so, if in doubt, check a plant’s particular needs before dowsing or drowning them. Experienced gardeners can tell when a plant needs watering from a mile off and you will soon learn through trial and error. Providing plants with the sustenance they need throughout the growing season isn’t just about cultivating bigger, more prolific plants. Appropriate feeding will help promote flowering, brighten foliage, encourage fruit production, strengthen root growth and increase disease resistance. Like a healthy body, a healthy plant will fight off pests and diseases more readily. 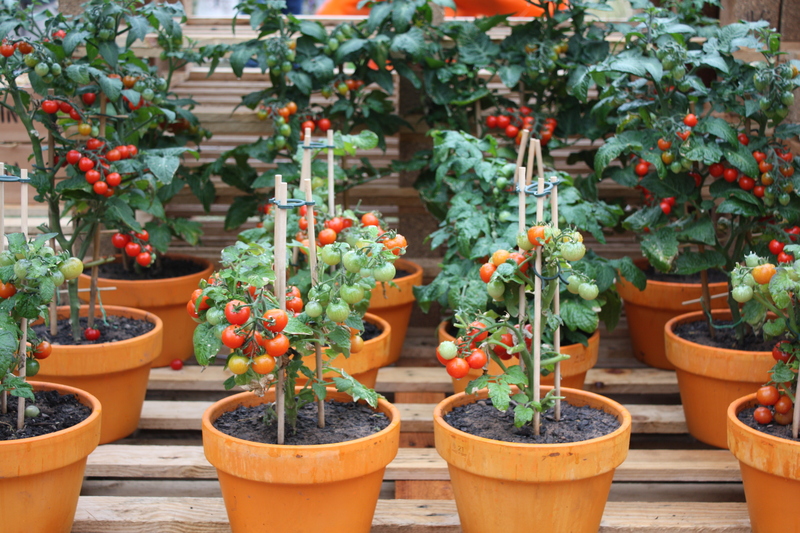 Typically gardeners are looking to promote flowering and fruiting at this time of year, for which liquid tomato food, rich in potassium, is the perfect solution. I get through gallons of the stuff between now and October. Too much nitrogen in high summer may result in lots of leaves and no flowers. Feed regularly and always follow the manufacturers instructions. Plants produce flowers for one reason and one reason only – to reproduce. If they are allowed to set seed they may at best cease flowering or at worse keel over and die prematurely, especially in the case of annuals. 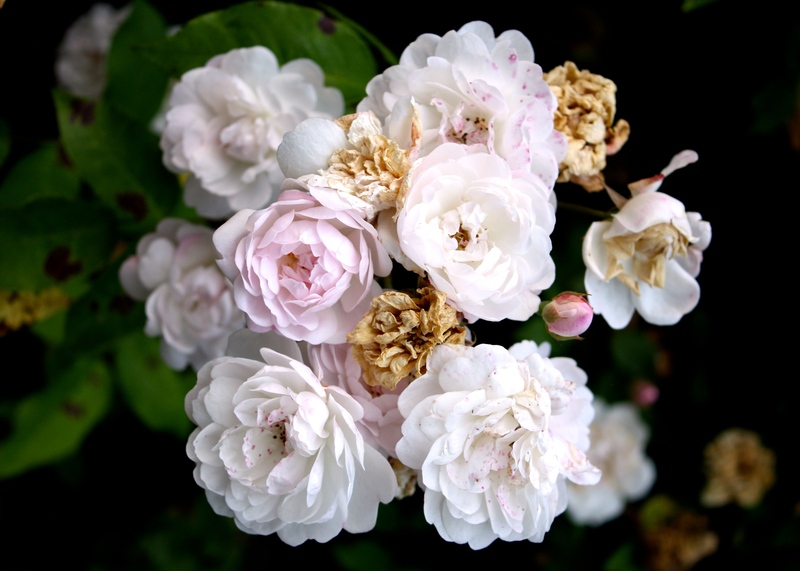 Regular removal of faded flowers, commonly known as dead heading, encourages a plant to continue its quest to bear seed and carry on blooming. It also prevents dead and decaying flowers from spoiling the display or rotting on the ground, which may cause a build up of diseases. Keep a sharp pair of secateurs with you in the garden at all times, or a pair of scissors for tender stems. I tend to use my thumb and forefinger a lot of the time, especially for begonias, petunias and other small flowers. Some plants, such as fuchsias, drop their flowers naturally, whilst sterile plants, which are incapable of reproducing by seed, will not benefit from dead heading but will look neater for your attentions. The time to resist giving blooms the chop is when a plant has especially attractive seed heads, for example poppies, teasles, eryngiums, roses bearing hips and most grasses. These can be left untrimmed for your enjoyment and that of the wildlife in your garden. A mistake I repeatedly make is to support my plants too late in the season. It is so tempting to believe the wind will never blow, or that a hail storm will not wreak havoc in your corner of the world. However, I can guarantee that if that you don’t pay attention to staking early in the season you will, at some stage, live to regret it. Few gardeners enjoying trussing their plants up like a Christmas turkey, but, done sensitively, staking provides an invisible support that prolongs the attractiveness of tall plants or those prone to flopping. It is a mistake to believe that heavily hybridised garden varieties with large flowers and lush leaves can naturally support themselves. Practices such as the “Chelsea Chop” and rationing food and water will prevent certain plants from becoming top-heavy. Dwarf varieties tend to possess a lower centre of gravity, however it’s a pity to restrict your choice to these. If you are reading this advice in July, it’s still a case of “better late than never”. Get yourself some garden canes or straight sticks that have been pruned out of shrubs and trees in your garden and a ball of twine, then get staking. Most plants still have plenty of oomph left in them and within a fortnight only you will know about the scaffolding keeping your magnificent display upright. Few of us own gardens large enough to afford the luxury of having areas that look good for just a couple of weeks, but extending the flowering season over a whole year requires skill and constant adjustment. An early summer garden is the epitome of Englishness, filled with bosomy roses, hardy geraniums, lupins and irises. The harsh reality is that this vision of loveliness does not continue much beyond mid July. Hardy geraniums and lupins respond well to a good chop post flowering and should come back with a fresh, vigorous flush of foliage and flower. 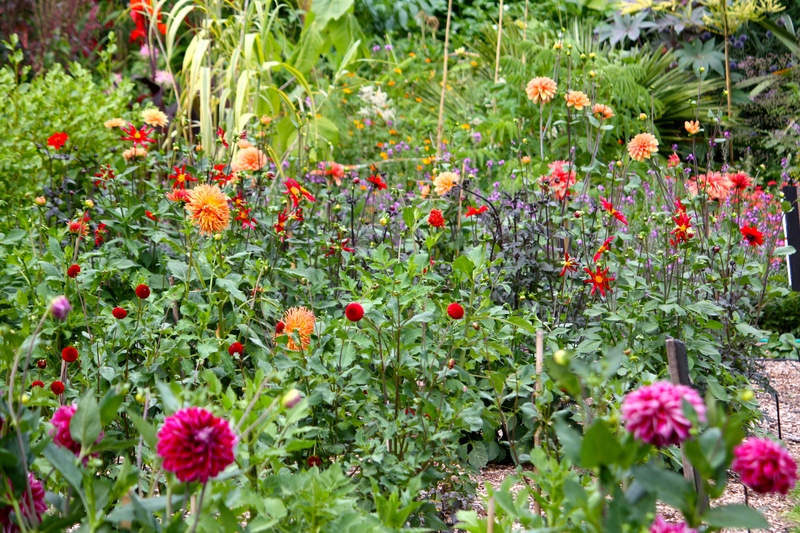 But a better course of action is to layer in plants that typically flower later in the summer, for example dahlias, salvias, abutilon, cannas, rudbeckias, chrysanthemums and grasses. Even annuals can exhaust themselves if not well watered and regularly dead headed. Cosmos, zinnias and nicotiana have a reliably long season and are worth growing from sowings made as late as June or early July. Lily bulbs purchased at summer flower shows can be planted straight away and will flower in September or October (although they will revert to flowering at their normal time the following year). Creating a garden that looks great in May and June when the summer is young is not difficult. Maintaining one that delivers through the summer and into autumn demonstrates real skill and plantsmanship. Follow these simple tips and you’ll be well on the way to keeping your garden looking lusher for longer. I’d love to hear your top tips for keeping your summer display looking fresh and vibrant as the nights begin to draw in. TFG. Good sound advice as always Dan…I admit to not feeding often enough and probably being too stingy with watering!! Staking too late…well you are describing me! Basically I think I need to devote a bit more time to my garden maintenance regime!!! Oh dear! This wasn’t intended to make anyone feel inadequate Anne. We are all human after all, and there are only so many hours in the day. When it comes to staking it’s very much “do as I say, not as I do”. 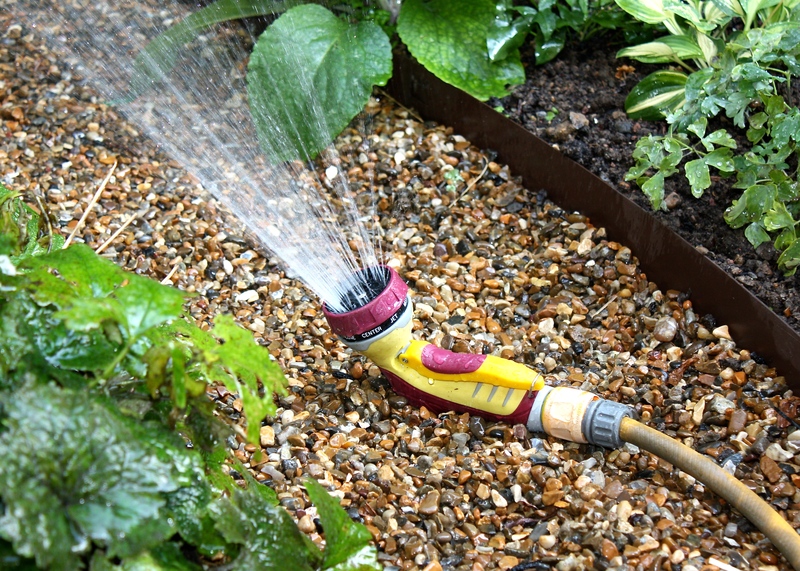 Watering and feeding I really enjoy – it’s my chance to examine every plant properly. Staking too late is definitely me. I hate to see the scaffolding, but being in a valley I really will have to accept (one day) that the wind doth blow through and there really is no other alternative. Once plants have flopped the opportunity for discrete support has long gone. Sad, but true. I can take naturalistic so far, but where naturalistic = flattened I draw the line. Given I like the jungly look I have no option but to support discreetly. Valleys and cliff tops can be unforgiving! I’m somewhat haphazard on my feeding but do try to do a seaweed feed fortnightly, especially on the pots. Have just read about Go Go Juice and put some all over the garden this week. Has anyone tried it and is it any good? I’m hoping to encourage more worms. I don’t really stake at all. Just wondering if anyone has tried Monty Dons staking with steel rods that have been bent around a tree? Saw it on one of the Gardeners World videos and look very good. Probably more for a large clump than an individual plant. I’ve not heard of Go Go Juice Anne. Sounds like something I might have imbibed during my clubbing days! I hope the worms have as much fun as I did back then 🤓. I tend to use sticks and canes as supports because I am normally too late to get those metal hoops and supports in. Monty’s ideas are normally sound ones so I am sure this works and is cheaper than buying manufactured ones. Yes, interesting. 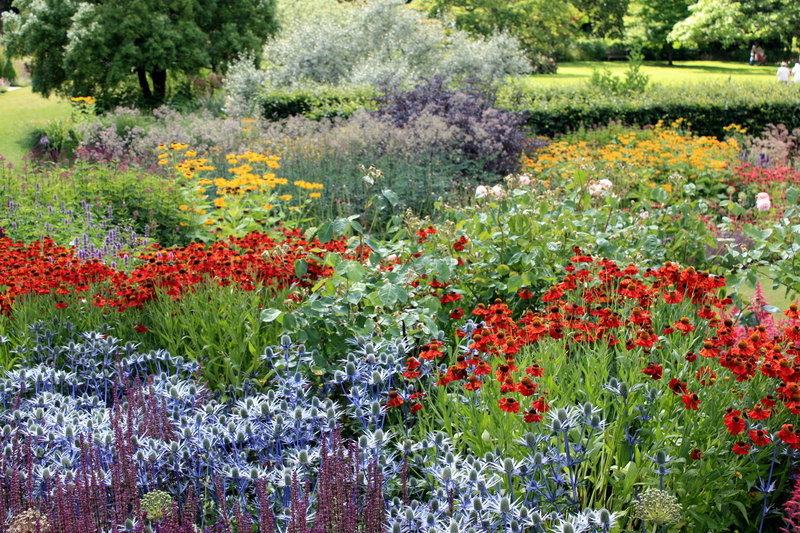 I am just starting to think about ‘succession planting’ and realising that it could be quite exciting. I have also been reading about layering bulbs in tubs for a longer flowering display and have ordered bulbs for the first trial next spring. Posts to come for London and Suffolk. Layering bulbs is the way to go. That’s how I do my pots and it works a treat. You can keep a spring pot going for 3 months using this method. ….and aren’t you right about dead heading. Your photo of the blush noisette rose could easily have been taken here, and it looked like that far too often. It was dead headed to the root two weeks ago, from now I am only growing single roses which set hips, no more “dead heading guilt” ahead! I quite like deadheading, perhaps because I don’t have to do a lot of it 😉 That particular rose was growing around our window at Hotel Endsleigh in Devon. Divine decay! Good sound advice Dan that I will be following once our southern growing season starts. Oh and I love the alliteration 🙂 xo. I thought the bent rod support Monty used is a Sissinghurst idea? Sure I read that somewhere but of course I could be way off. Thank you. I keep reminding myself that I must not wish the year away. Time goes too fast. Should I deadhead marigolds. I’m keen on the self-seeding for next year, so was wondering if deadheading would stop that happening? You should deadhead marigolds to keep them flowering. 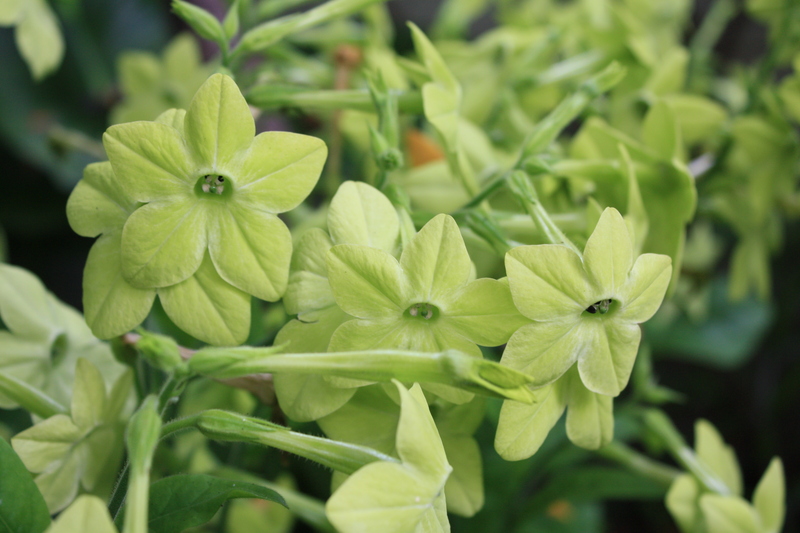 Leaving a few choice blooms on to produce seed is fine, but these can be left later in the summer rather than now. Thanks, Dan. I’ll get my secateurs out tomorrow then. I am glad you’ve managed to get some form of summer! I live up north and we might have got a weeks worth! Been really disappointing this year, hardly any opportunities to get out in the garden. Really disappointing.